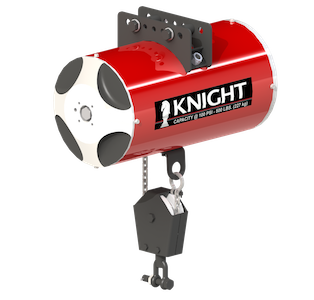 Knight’s Reeved Pneumatic Balancer Series is primarily designed for weights exceeding 450 lbs. [204 kg]. Reeving a pneumatic balancer increases the mechanical advantage of the product, and the stroke length is half the length of a standard balancer. 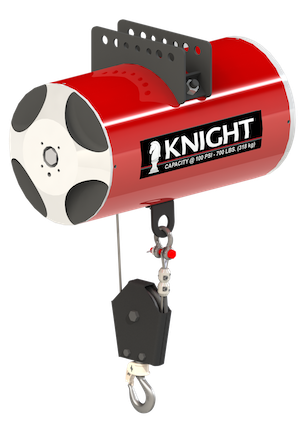 Our reeved pneumatic balancers come standard with a Knight swiveling shackle on a pulley. Standard Travel: Up to 55 in. [1397mm].